As most of our scuba adventures seem to happen when abroad I like to consult the PADI dive school finder before even looking at Tripadvisor to see which companies are registered with PADI. 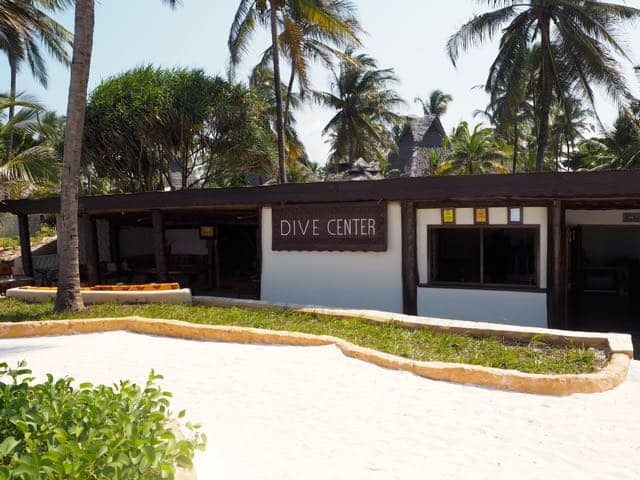 It makes me feel a little safer in the knowledge that the dive centre will have been verified by PADI professionals and will have to keep up a fairly high standard in order to stay registered as an associated centre. This isn’t of course to say that all the registered schools are amazing (we visited one in Ibiza that was abysmal) and that there are probably lots of excellent schools affiliated to other professional dive organisations such as BSAC (British Sub Aqua Club) and SSI (Scuba Schools International). 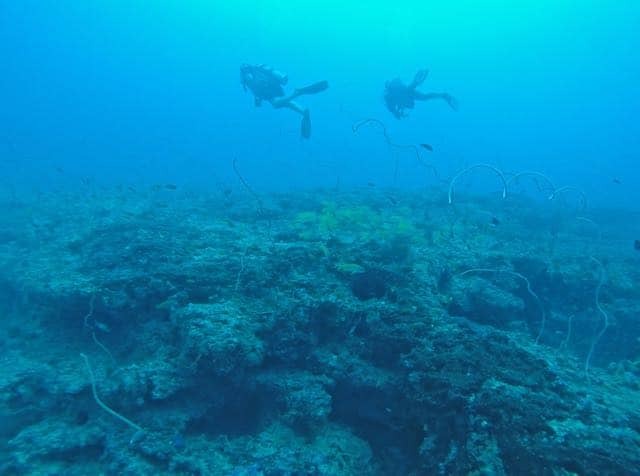 Our trip to Zanzibar presented a slight problem in that there are only 9 registered PADI dive centres and only 2 in real close proximity to where we were going to be staying on the south east coast. This lead us to book our diving with Rising Sun Dive Centre who are based at the Breezes Beach Club Hotel. Choosing to go with Rising Sun was mainly based on the fact that at the time I was emailing both Rising Sun and the other dive school and instead of just copying and pasting information from their website Rising Sun actually took time to answer my questions in detail and were amazingly helpful in putting together a suitable dive package for us. In addition to being almost comparable on dive prices and equipment hire (that 15kg safari luggage restriction is a killer) Rising Sun also offered to pick us up and drop us off from our accommodation at no extra charge. Massive like already and this was before we even arrived! On arrival at the dive centre I was immediately struck by how welcoming everyone was and also how clean and tidy the set-up was. As a bit of an organisational geek this pleased me greatly, I like dive centres that look and appear organised as more often than not it means they will be organised on the dives too. 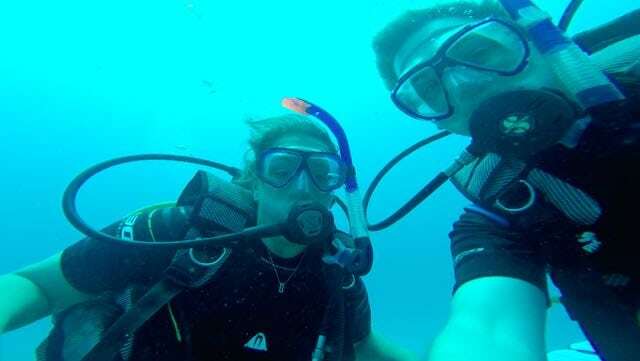 After Evelyne the manager had checked our certifications and we had answered the obligatory PADI health questionnaire, we were kitted up with our hired equipment a mixture of brands but all in tip-top condition. We set off to join one of the centre’s boats for the first dive of the day. Rising Sun follows the same boat diving pattern as most dive centres across the world and one we have become very accustomed to. If you’re new to diving and haven’t dived off a boat before it goes like this; equipment check on land before the boat is loaded up, wade out to the boat, take a pew and wait for the boat to arrive at the first dive site, buddy check, dive, do your required surface interval, change the tank and do another buddy check, dive again and then relax back on the boat as you head back to land. 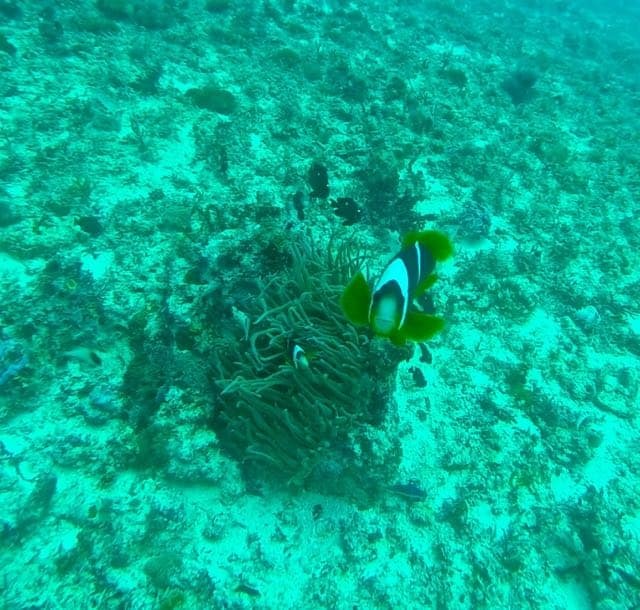 The only difference to the pattern above and one I wasn’t quite prepared for on my first day of diving in Zanzibar was the swell. The sea is choppy and I hadn’t taken any sea-sickness tablets as I foolishly thought I had been on enough dive boats by now to be fine – I was not fine. The fish were fed as soon as I surfaced after the first dive and again after the surface interval. 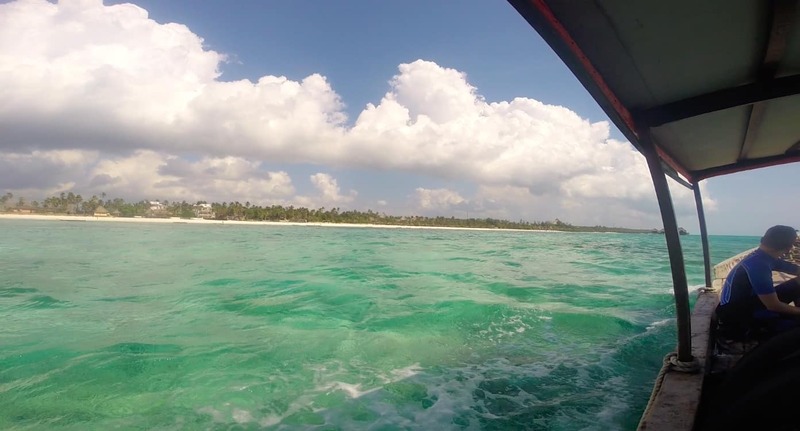 Luckily the amazing Rising Sun staff are pros at dealing with clients who start to go a bit green not only offering helpful advice and providing fresh fruit and water between dives they also adapt the dive plan dependent on the sea conditions. I know this sounds something that every company should do but it really makes a difference to your dive well-being to hear you will be heading further towards land and a less choppy site when you are about to empty your breakfast into the beautiful ocean. The staff do all this even when suffering from sea-sickness themselves, it seems no matter how long you have been diving and how often it can get you! I dosed up the next day and was fine, no fish were fed by me for the rest of our dives so wholly recommend bringing and taking something if you are prone to being sea sick. Our excitement never waned however and right from before our first dive we knew we were in for a treat as we saw humpback whales breaching about 500m from the boat, they didn’t join us in the deep blue however and we just had to make do with the amazing coral, wrasse, triggerfish, turtles, clown, lion and angel fish that make this part of the ocean their home. 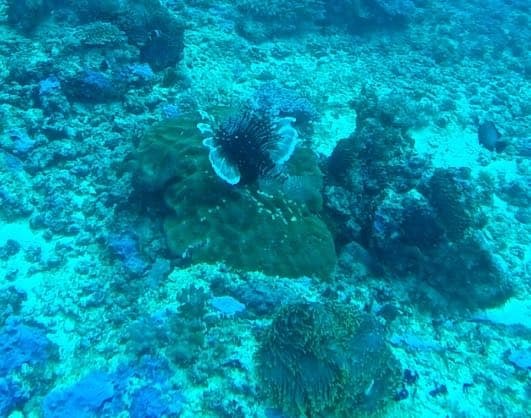 My favourite dive sites were Chupis and the Oba Oba Lagoon as the coral reminded me very much of the Red Sea and the abundance of reef life was remarkable. As if that wasn’t enough we also had the delight of seeing dolphins jumping and swimming next to the boat – some pretty remarkable and memorable diving times both on and under the water. My pictures really don’t do it justice (must get the GoPro video footage made into a video for Youtube) If anyone has any tips on the best underwater filters for GoPro’s then please comment below as I would love some recommendations. Added to this Evelyne and her team Rebecca, Wisse and Michele were amongst some the best instructors and guides we have ever had the pleasure of diving with meaning that Zanzibar has become one of our favourite scuba diving destinations to date. If anyone has any tips on the best underwater filters for GoPro’s then please comment below as I would love some recommendations.